Meredith Grey. . Wallpaper and background images in the Meredith Grey club tagged: grey's anatomy meredith grey ellen pompeo. 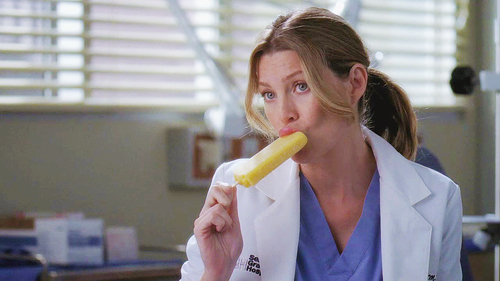 This Meredith Grey photo might contain eis am stiel, lutscher, eis lolly, popsicle, and lolly. 3x01 "Time Has Come Today"
Addison - "Im not Meredith Grey"